The H7N9 bird flu virus in China isn’t the only scary new virus on the docket this spring. A second new virus, similar to SARS and named Middle East Respiratory Syndrome coronavirus (MERS CoV), has been popping up in the Middle East since last summer and was first described in the New England Journal of Medicine in November. 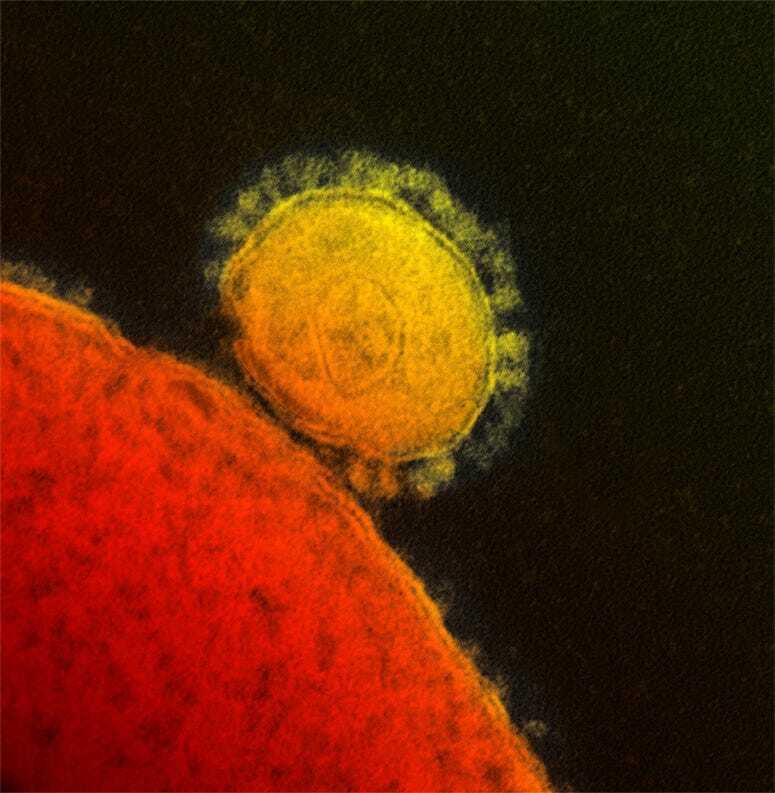 The virus is a coronavirus, the same family of viruses that unleashed SARS a decade ago. SARS infected 8,273 people and caused 775 deaths worldwide. It is making waves this week as recent cases have been found in France and 13 new cases have been announced in the past couple weeks, according to Science Magazine. The virus has killed a total of 18 people, according to FluTrackers. While the number of people infected by this new virus is low, 33 according to reports, there’s concern over a few clusters of cases that could indicate that the virus can be transmitted easily between people. The virus has also traveled outside of the Middle East — to the United Kingdom, France, and Germany — by people who had recently visited the United Arab Emirates, Jordan, or Saudi Arabia. The virus caused secondary infection in the family members of one infected person in the U.K., as well as eight health care workers who involved in the original outbreak of the virus in Jordan in April 2012 — two of whom died. What’s become worrisome now is the spread of the virus within one hospital. According to CTVNews, citing health authorities in Saudi Arabia, 15 of the 33 reported patients infected with the virus had all been to the Al-Moosa Hospital in the town of Hofuf before they got sick. Seven of them have died. According to New Scientist’s Threatwatch, the virus that researchers sequenced from those patients had three new mutations — though officials didn’t say what impact those mutations had on the viruses’ lethality or likelihood of spreading from person to person. This could mean that the virus was spreading from person to person, at least in that hospital. If an airborne version of the virus escapes the hospital it could be another SARS in the making. Researchers are also worried that the virus could cause infections in otherwise healthy people and they won’t show extreme or obvious symptoms. These kind of weak infections could let the virus adapt to humans, New Scientist reports.